Bryan Estepa-Vessels. 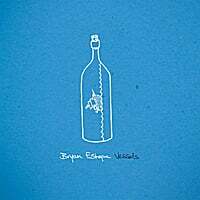 Our favorite Aussie this side of Michael Carpenter is back with his third solo album, and Vessels is another mark of excellence for Bryan Estepa. Like his buddy and countryman Carpenter (who helped mix), Estepa has the knack of making pop songs sound easy, and he infuses them with a bit of a country-rock style. The beguiling, laid-back "Won't Let You Down" opens things nicely, and "Hard Habits" draws on The Band. But Estepa is not afraid to tackle purer pop as the bouncy beats and handclaps of "Tongue Tied" and "Alone" will attest. And the soulful ballad "Pull Ourselves Together" might be the prettiest song I've heard this year. Another first-rate effort. 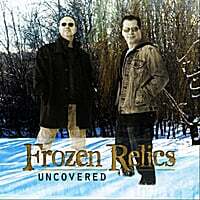 Frozen Relics-Uncovered. A nice EP debut from this Minnesota duo, who feature a straight-ahead power pop sound that's heavy on the hooks. Leadoff track "Beautiful Girl" mines the classic power pop subject matter with a Fountains of Wayne/Weezer flourish, while the peppy pop of "No Second Chances" has almost a Motown-like feel to it. The anthemic "Burnin'" tackles environmental concerns without being too preachy and while giving a nod to short-term concerns. "One Step Closer" is more pleasing power pop, and "Hymn for Our Children" is a quality instrumental number and is backed by their promise to donate $1 from each full album purchase to the Children’s Miracle Network – Gillette Children’s Hospital. Things always get a little sentimental at Absolute Powerpop when Supraluxe is concerned, since they were the first band reviewed on the site and had an impact on the the creation of the site as well, all of which is well-chronicled here if you want to check out the archives. 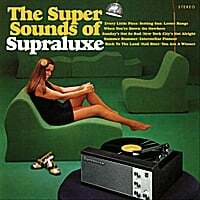 More pertinent to you the reader is the fact they've released their third disc, The Super Sounds of Supraluxe. While their first album was a pop masterpiece, they made their AOR move with the followup, Wake Leave Home Sleep, which had its moments but didn't sound very much like the debut. The message here for those who loved the first album is "come on in, the water's fine" as Super Sounds marks a return to the Elliott Smith meets Brendan Benson sound we've known them for. Things start off strongly with the gentle "Every Little Piece", which namechecks Fleetwood Mac and has a feel of solo Lindsay Buckingham, and the catchy mid-tempo rocker "Setting Sun". 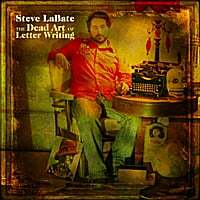 But they really hit their stride with "Lester Bangs", not quite a paean to the legendary rock critic but a celebration of the love of playing music that hews to his spirit. The song may be a bit meta, but it's a gem and captures that "Supraluxe sound" we all came to appreciate on the debut. There are plenty of other quality tracks here as well: "Go Nowhere" has a loose-limbed vaguely-country vibe that makes it sound like came off Wilco's Summerteeth; "Sunday's Not So Bad", a leftover from the sessions for the debut, has that E.Smith feel, and "New York City's Not Alright" finds them in rock-noir mode. And not to be overlooked are the 70s SoCal-sound homage "Back to the Land" and the strange but lovely "Nail Biter" which runs with its title metaphor and some spry synths. All in all, a welcome return to form for this Minneapolis band and a must for those who fell for the debut. As Absolute Powerpop has been going for five years now, we've built up quite a list of artists that have had music reviewed on the site, and I don't always have time to do full reviews for everything they do in the future. So as a service to those who enjoyed their previous releases, here are some words about new music from some artists we've featured before. New release: The New Old Thing (EP). A few words: This Englishman has always mixed pop with country, and here he leans on the country a bit more. 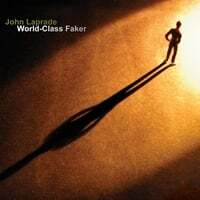 Still quality stuff, though, and fans of his previous work will want to check this one out. The rockin' "Crawford County" is the highlight here. Last Seen on AbPow: May 2008 with Sunny Days Ahead, although they released the decent Fire and Ice in the interim. New release: White Lies and Bloodshot Eyes. A few words: This is a kind of odds-and-sods collection for James Hall & Co., with a bunch of b-sides, demos, etc. But for the most part it sounds like a cohesive album, and might even be better than the previous proper release. "I Get Tongue Tied" (left off Fire and Ice) and "One Way Ticket" are two great tracks. This is a digital-only release. 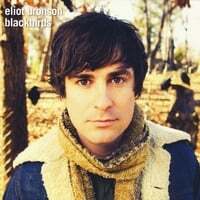 Last Seen on AbPow: March 2009 with his self-titled debut. New release: Rock Bottoms Up. A few words: The debut reminded us of Cheap Trick/Oasis, and this one goes one step further into harder rock territory. A fun disc to get your rock on, with the "whoos" of "Your Breaking Down" reminding me of Andrew W.K. and "Better You Than Me" firmly in AC/DC territory. Last Seen on AbPow: January 2009 with Surrounded by Lights. A few words: This new release runs to the folkier side of Sprinkle's folk/pop but is a must for those who enjoyed his previous work. "Your Touch is Gold" and "In Loving Memory" are the highlights here. In the 90s it was Oasis who took the sound of 60s and 70s rock of The Beatles, the Stones, The Who and others and brought it into the present day. In the 00s it was Jet who found success with this template. 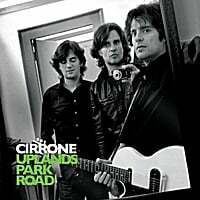 And now picking up the torch in the 10s is Italy's Cirrone (originally known as Apple Scruffs), a band of three brothers who are making the old sound new again in what's my favorite discovery of 2011 to date. The lovely Beatlesque "Here is My Song" announces their arrival, while the title track mixes Oasis-style swagger and Big Star-like guitars and song structure. The quiet/loud dynamic of "I Still Remember" recalls Sloan, and "Let the Wind Blow" melds the McCartney of "Here, There & Everywhere" with the McCartney of "I've Got a Feeling". By about the fifth track rolls around, the Chiltonesque power poppin' "All I Know", you get the feeling these guys can do no wrong. "Brand New Life" is another impressive piece of work, starting out as a pretty ballad that builds to a rocking 2-minute crescendo of guitar outro, something you don't hear a lot on power pop albums these days. "How Does it Feel?" is a piece of cheerful, "Good Day Sunshine"-styled pop with all the attendant bells and whistles, and "Your Eyes Are Wide Open" has that Lennon-by-way-of-Noel Gallagher feel. The back half of the disc is no letdown, either, no mean feat in an age when so many discs peter out around this time. "Just Tell Me" is a moody, midtempo rocker that could be the best track on a lot of other albums, and the boys prove proficient at psych-pop with the trippy "You're Not Alone". "Here We Will Go" earns points for being different than the rest, an assertive rocker with some horn help, and "In the Sun" is a "Because"-styled ballad with ethereal harmonies. Again, there isn't anything here you haven't heard before in some form or another, but like the best power pop it makes it all seem fresh again. It'll be criminal if these guys don't find a wider audience like their forebears mentioned at the beginning of this review.